Pictured back row, left to right are Londonderry 2016 Regatta winners: Ken Sadler for the “Most Humorous” for Ship of State; Art Schmidt for the “Most Creative” for the USS Nautilus; Ed Schmidt for “Most Elaborate” for USS Londonderry; and Jim Bradley for the “Best Craft of All Natural Elements” for Adventures of Tom Sawyer. Residents and staff of Londonderry Retirement Community in Easton recently hoisted their sails again for the Londonderry Regatta. The Manor House pool was the setting for the event, which featured model boats created by Londonderry residents and staff. The pool was reopened in the fall following renovations to the Manor House. Londonderry residents and staff used recycled bottles and aluminum pans, twigs from plants, and toys in making their seaworthy vessels. Some residents even constructed historic scaled boat models to sail in the event. 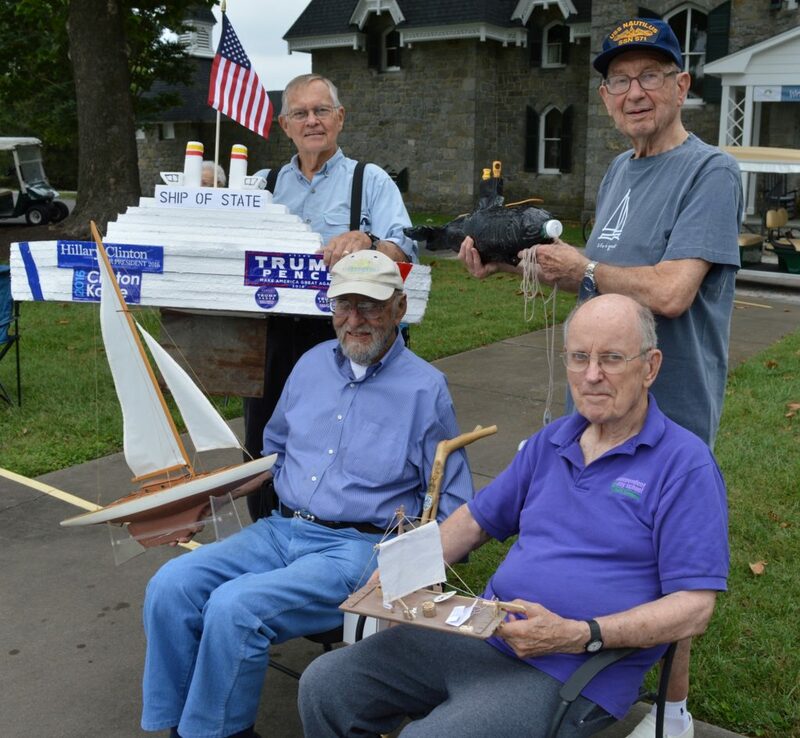 Winners of the 2016 Regatta were Art Schmidt for the “Most Creative” for the USS Nautilus; Jim Bradley for the “Best Craft of All Natural Elements” for Adventures of Tom Sawyer; Ed Schmidt for “Most Elaborate” for USS Londonderry; and Ken Sadler for the “Most Humorous” for Ship of State. Londonderry on the Tred Avon is a cooperative waterfront retirement community for seniors ages 62+. Cooperative senior housing is a unique option for seniors seeking a retirement lifestyle while maintaining control over their investment. There are 98 nationwide and only two in Maryland. For information about Londonderry on the Tred Avon, call 410-820-8732 or visit Londonderryonthetredavon.com.